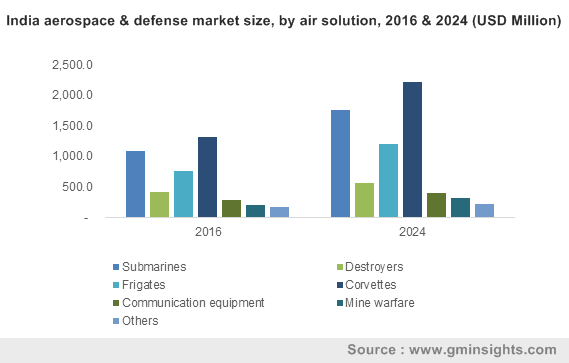 Aircraft « Global Market Insights, Inc.
One of most profound factors driving the growth of India aerospace & defense market is the extensive number of initiatives undertaken by the Indian government. The government’s decision taken a few years before, for instance, to increase the FDI limit from 26% to 49% in the defense sector, is remnant of the fact that India aerospace & defense market represents a vital sector in the national landscape. The raise in the FDI limit had apparently permitted foreign institutional investors, venture capital organizations, and foreign portfolio investors to make maximum capital investments up to 24% in defense firms thereon. With the ample availability of a highly-skilled workforce and the ‘Make in India’ initiative gaining greater prominence across the country, Indian firms are expected to play a vital role in the aerospace & defense value chain comprising research & development, training, production, quality control, and maintenance, which would further transform India aerospace & defense industry outlook. India procures nearly 70% of its defense supplies via imports, through which the country has earned the tag of being one of the largest importers of aerospace & defense equipment across the globe. The remainder of the 30% of defense equipment is supplied by the private sector, the Ordnance Factory Board (OFB), and the Defense Public Sector Undertakings (DPSU). A substantial number of components for the defense materials are also procured from the overseas. 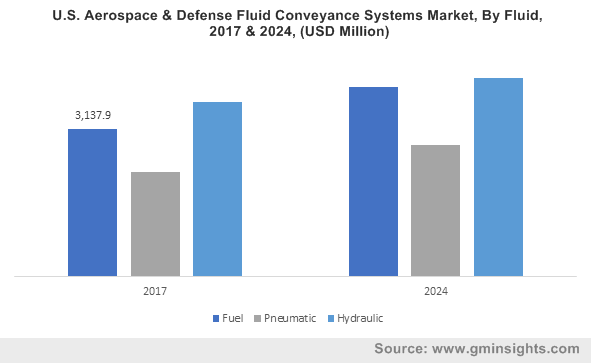 The Indian government has been undertaking tremendous efforts to overcome this drawback through its ‘Make in India’ Program, which may certainly have a remarkable impact on India aerospace & defense market trends in the ensuing years. In a recent move that has been anticipated to spur India aerospace & defense industry share, Sika Interplant Systems Limited, a Bangalore-based engineering firm providing services to marine, aerospace, and automotive sectors, has formed a joint venture with a UK-based aviation & aerospace giant, Aerotek Aviation Engineering Limited, in India. The strategic partnership is a part of ‘Make in India’ initiative and will offer services such as production and MRO (maintenance, repair, and overhaul) of landing gears for airplanes and helicopters. A recent unveiling of new aerospace & defense component manufacturing facility by Nucon Aerospace, a key participant across marine, ground & aerospace sector, in Hyderabad is also expected to provide a boost to the ‘Make in India’ program, which would ultimately stimulate India aerospace & defense market size. Aerospace & defense equipment are extensively used by the Indian military, navy, and the air force. 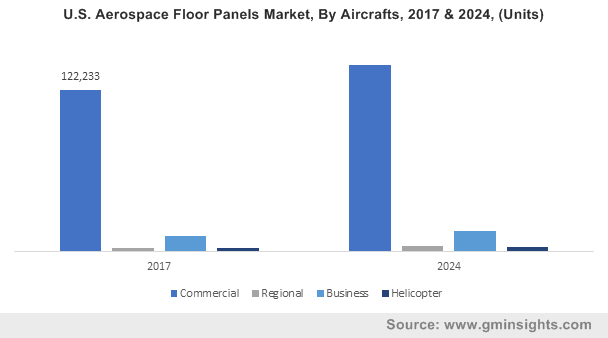 Thus, the large -scale production of aircrafts, communication equipment, helicopters, and missiles in the country have contributed significantly toward augmenting India aerospace & defense market revenue. 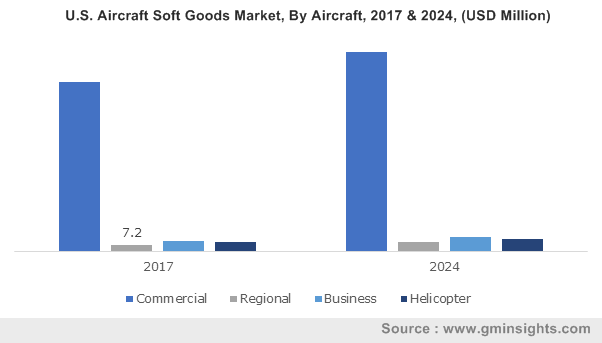 In addition, the escalating need for increasing the aircraft fleet size with the inclusion of supporting aircrafts such as rescue, emergency & repair, and medic aircrafts have been forecast to impel the business landscape. Major firms such as Bharat Dynamics Limited, Tata Advanced Systems Limited, Hindustan Aeronautics Limited, Lockheed Martin, BAE Systems AB, and Tata Power Strategic Engineering Division have been attempting to innovate numerous equipment, in a bid to substantially augment India aerospace & defense market share. Aided by substantial government support, India aerospace & defense industry size has been forecast to surpass USD 23 billion by 2024. This entry was posted in Electronics and Media and tagged Aircraft, Amphibious Warfare, Armored Fighting Vehicles, Artillery, Border Security, Communication Equipment, Corvettes, Cybersecurity, Destroyers, Frigates, Helicopters, Homeland Security, India Aerospace & Defense Market Size, India Aerospace and Defense Market, Indian Aerospace and Defense Industry, Logistics, Maintenance, Mine Warfare, Missiles, Modeling, MRO, MTS, Repair & Operations, Small Arms, Submarines, Tanks, Training & Simulation.